For professional consult,please contactÂ Miss.Windy :+8613902387912. 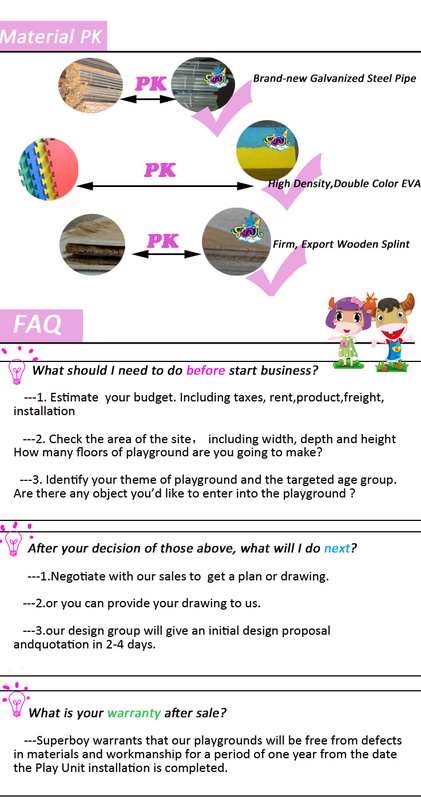 Process 1:Process for order:Confirm the details(place and requirements),design aÂ drawing and bring it in production when order comfirm. 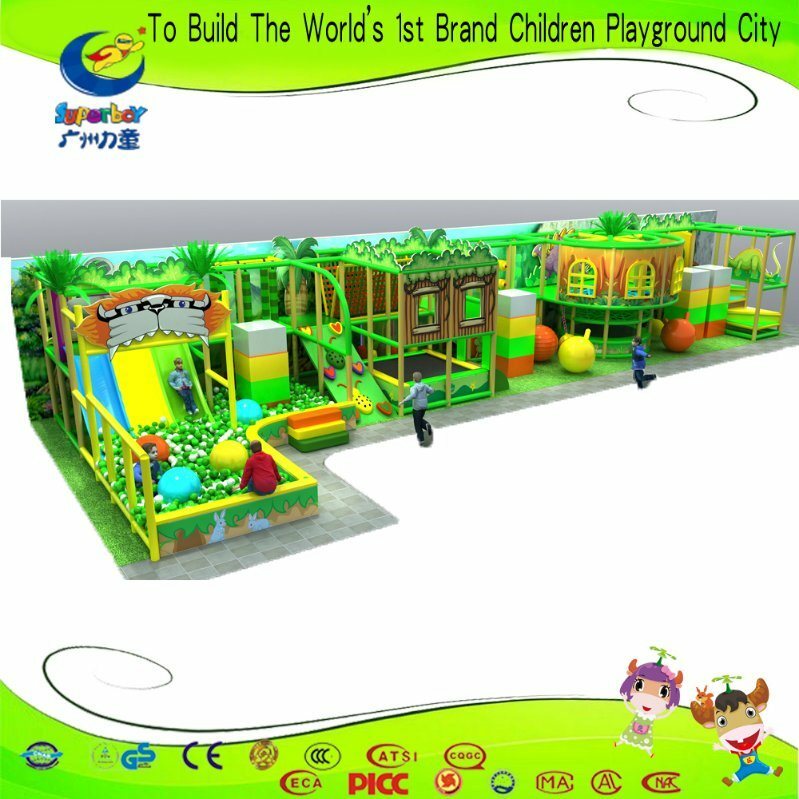 A:Soft play.Cutting wood and make shape+coating foam in wood+Pvc skin coating. B:Make material and pcs+Welding and test. What's good for kids 1.Good for kids' IQ and EQ. 2.Good for kids makng friends. 3.Good for kids' comunication ability. 4.Good for kids' body coordination. Anyway,kids will be benefit from them in all aspects. Custom Desigh We can designfor you after you give us details of your place and requirements. Payment Terms T/T,The Credit card,The Credit guarantee,L/C,ALIBABA TRADE ASSURANCE and Cash.